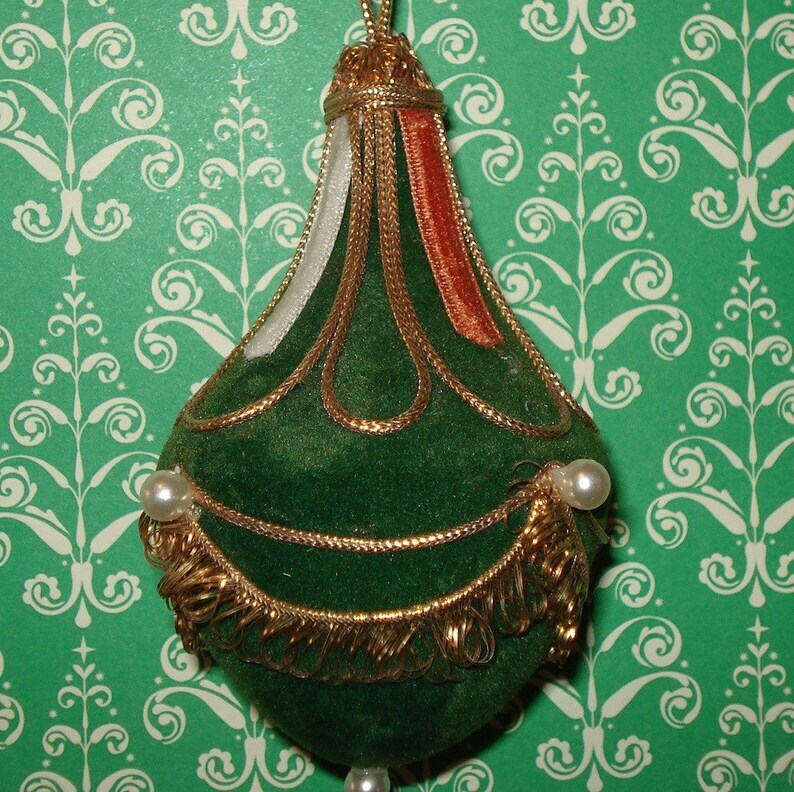 Vintage Christmas ornament, teardrop shaped in green with pearls and gold trim. Purchased from an estate sale in good vintage condition. Velvet like green with tinsel, gold cording and pearl beads make this an elegant ornament. Gold cap and thread to hang from your Christmas tree. Measures 2" high. Very collectible!